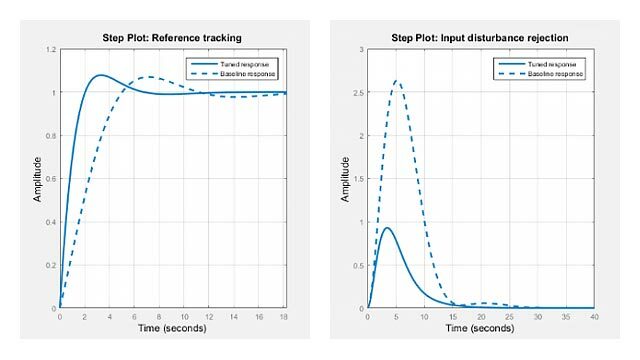 sgrid generates, for pole-zero and root locus plots, a grid of constant damping factors from zero to one in steps of 0.1 and natural frequencies from zero to 10 rad/sec in steps of one rad/sec, and plots the grid over the current axis. If the current axis contains a continuous s-plane root locus diagram or pole-zero map, sgrid draws the grid over the plot. sgrid(z,wn) plots a grid of constant damping factor and natural frequency lines for the damping factors and natural frequencies in the vectors z and wn, respectively. If the current axis contains a continuous s-plane root locus diagram or pole-zero map, sgrid(z,wn) draws the grid over the plot. Alternatively, you can select Grid from the right-click menu to generate the same s-plane grid. 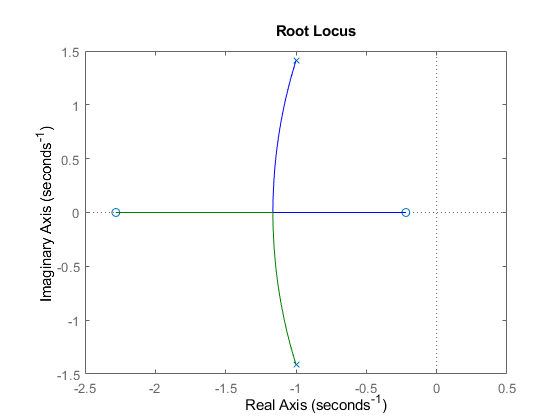 Plot the root locus of the transfer function. 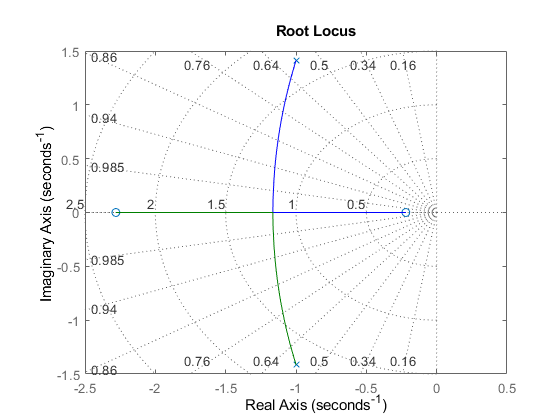 Plot s-plane grid lines on the root locus.